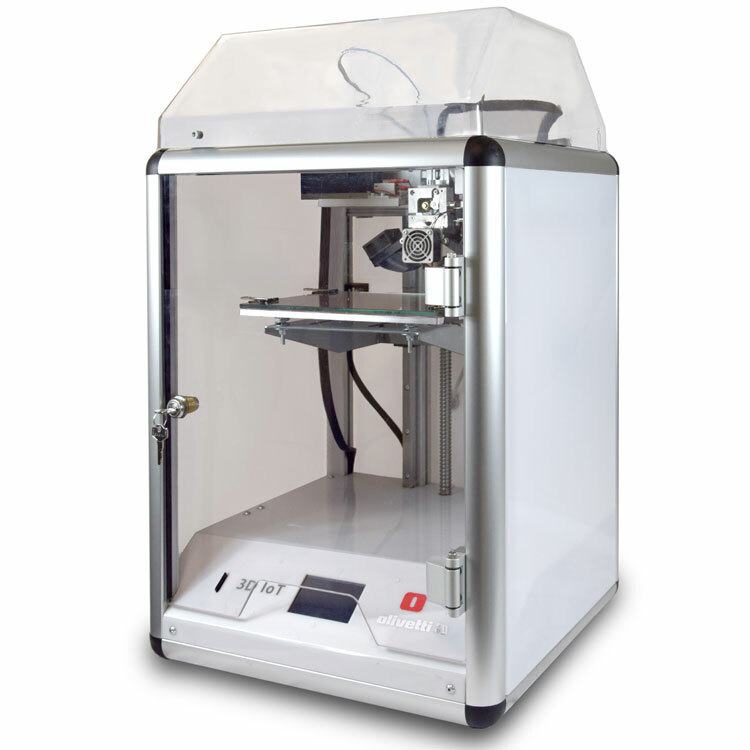 Olivetti 3D Printers: technology for creating your prototypes. 3D printing when applied to prototyping represents the ideal solution for creating models in design and industrial fields. When a 3D drawing of a new product or component is ready, the Company is free to proceed immediately to the initial product prototyping phase, analysing technical and dimensional aspects, evaluating aesthetic criteria and carrying out any further performance testing necessary. 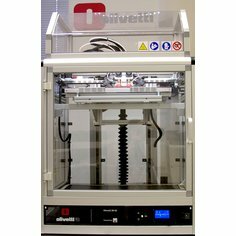 3D Printer - Olivetti S2 - 3D Print reliable with dual extruder. Olivetti 3D-S2 is the new 3D printer specifically designed for small to medium-sized enterprises engaged in the digital transformation process. Olivetti 3D IoT is the new desktop printer for professional use opening up the road to the 3D printing over network era: thanks to the WiFi connectivity, the 3D IoT can be remotely monitored and managed in a simple, instant and safe way. A professional printer for use in classrooms! 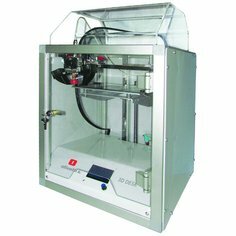 The new 3D DESK printer is specially designed for schools, universities and professional practices requiring a compact 3D printer with optimal levels of performance and reliability.